At the end of last month the death of Neil Armstrong was announced. He was the first person to walk on the surface of the moon. Armstrong’s death serves to remind us of an era in global politics which is now well and truly over. 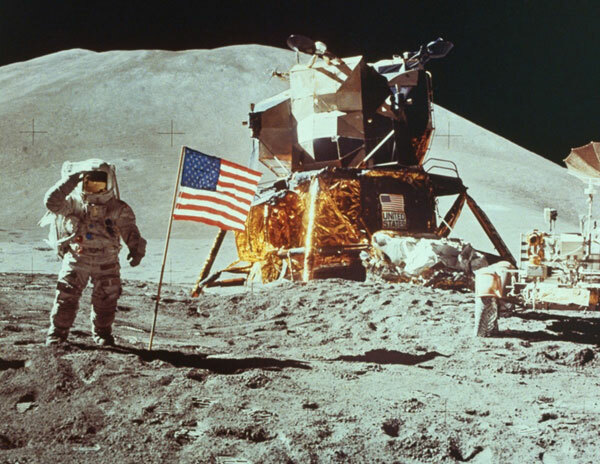 US president Barak Obama described Armstrong as “among the greatest of American heroes – not just of his time, but of all time.” Indeed July 20, 1969, the day an American flag was planted on the lunar surface could be looked at the day America was at its zenith. It was a symbolic checkmate in the space race that the USSR had began with the launch of the sputnik satellite in 1957. But American power seemed to start a slow decline soon after that point. In the 1970s the post-WWII economic boom was coming to an end, intensified by the 1973 oil crisis. Then in 1975 the USA withdrew from the war in Vietnam as the Vietnamese People’s Liberation Army captured key installations in Saigon. The world’s most powerful superpower had been no match for a well organised guerrilla movement. By the early 1980s Ronald Reagan had come to power and his administration was implementing neo-liberal reforms that meant average American families would no longer enjoy the prosperity they did during the time they watched broadcasts of the moon landing some thirteen years earlier. Then in 1991 the USSR collapsed and the cold war that had spurred the rush for space exploration was no more. A decade after the fall of the USSR an attack took place on the key economic and military symbols of the world’s only superpower, now brought to its knees by box-cutter wielding hijackers. The American response was to start a war in Afghanistan, a war that looks even less winnable than the war in Vietnam. There is good reason that part of the world is referred to as ‘the graveyard of empires’. How much longer can the United States claim superpower status? It’s expected to be eclipsed by China in just four years time. Interestingly China is spending a significant amount of its GDP on the space program. There hasn’t been a human on the moon since the Apollo 17 mission of 1972. The next human to walk on the moon might come across Neil Armstrong’s footprints next to an American flag and find themselves looking at relics of a distant past. « Why is the US government so afraid of Jacob Appelbaum? he was the first “”man”” to walk on the moon not the first person ,or human . Surely he was both, unless there was a pioneer woman we’re unaware of. Why’s it so important to emphasize his identity as a “man”?